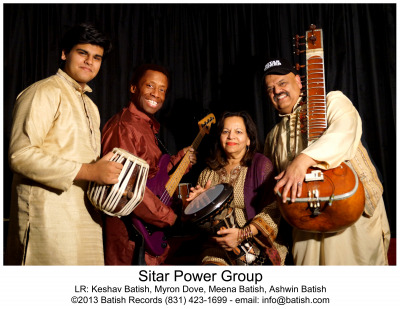 With new songs and additional band members, Sitar Power Ensemble will be performing for a local audience in their home town of Santa Cruz California. They recently opened for the Violent Femmes with two dates - The Mountain Winery in Los Gatos and UC Theater in Berkeley, California. You can watch their live concert video on YouTube. Title cut is Maha Mantra. Music by Ashwin Batish. Santa Cruz, CA 95060. USA.